Every day, thousands and thousands of people do check their Facebook account regarding updates and all once in a day. In last few years social media has been one of the most powerful social media site. Both previously and presently social media and hopefully in future too, Facebook is being utilized by both small and medium businesses for introducing and launching their products. Many of us have noticed for a longer period of time thatwe have been getting many “Likes” on Facebook message which is being declared by big multinational companies. Can you guess the reason behind it? 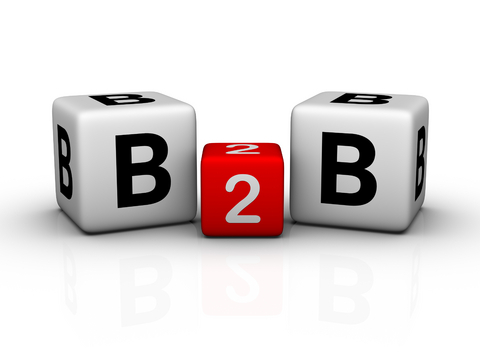 Yes, as many businesses have seen that Facebook can be effectively used in B2B marketing. So then without any second thought, it is better to start, in order to make it a big success, all you need to do is to have challenge and also you got to have the scenario of selling and advertising. Firstly, it is very obvious that you might want to do few things, so that along with your business you can easily interact with other pages very easily. So what you have to do is first, you have to do is you got to choose a option so that you can use Facebook as a page, after that you have to start using search box in order to find the business you want to keep in touch with. Suppose, unfortunately if you are not familiar with the option of using Facebook as a page, then you can do is at upper right you can see the option “use Facebook as (your business page name here) when you get logged in as the administrator of the page. Apart from it, another thing you got to do is to “like” your prospect’s page as your page which denotes that it won’t be working in a same manner like before when you use to “Like” a page like when you used to use Facebook as a profile user. Look, secondly how helpful it will be to you’ll, after you have “liked” some businesses of past clients, you can see their updates and feedbacks, whenever you will be using Facebook as a page. It will be good that you find some interesting updates an add some of your comments there. The easiest way to do is think that you are standing in front of your client and before you comment, you need to think very carefully what should say to that person. 1. Firstly it is necessary to provide and incentive for growing your Facebook “Likes” because you got to keep in mind that Facebook likes in social networking are equivalent of all the email subscribers list. All you need to provide a reason to your customer and prospects to give your email address and later you will see the increase in rate of your email acquisition. 2. It is very important to update news in your industry, it is very important to follow the trend, it is very important to provide the latest breaking news which will be keeping your clients informed and updated. 3. You can use video channels as tutorials, you are not just publish the videos or just place them on your Facebook page. You have to give them the knowledge and explain it to them of how it is used. It will be better that if you use a separate “tab” for that. 4. It is very important to capture email subscription for lead generation. The shiny factor syndrome of social media and Facebook has blinded many marketers for continuing power of capturing all the important emails for lead capture. 5. Another important factor is targeting decision makers. If you have the aim to target decision makers with paid advertising on Facebook, then through Facebook’s self-service and advertising feature you can achieve tight demographic target can be achieved. 6. You have to do market research and surveys, for capturing information from prospects and customer, it is necessary to know what is important to them and accordingly it is necessary to provide valuable feedbacks in order to bring new product in the market. 7. It is also necessary to promote your thought leaders. It is very obvious that people buy everything from people, so in order to build good position in your company, showcasing your expert is a great way as a thought leader in industry. 8. You can also sell your products and services too, as there are many apps emerging in Facebook, which will help you to sell your products and services. 9. You can make your company human by you can highlight the human side of your Facebook by writing more articles which are educating ones and also you can put some images and videos which are more human likes rather than photo shopped ones. 10. You can also provide some customer service in Facebook, like it is very important to look at the marketing power of customer service, which is sometimes overlooked. So customer service in Facebook should be very much encouraged by all. Facebook is a place like carnival, if you know the right place to choose, profit is all yours. These ten rules can give your business promotion a well-deserved kick start.